In an interview with Matt Becker who is one of Aston Martin's head engineers, Motoring revealed that the company had no such plans in place. The engineer, who was spoken to at the launch of launch of the new Vantage in Portugal, went on to say that he had tried out the new hybrid turbo six-cylinder that Mercedes-AMG found in the new CLS53 but "didn't know whether the engine would fit" into any of Aston’s current models. Since the DB11, Aston Martin has been using Daimler's powertrain. 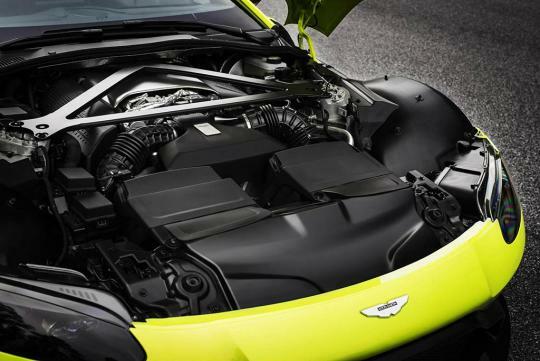 The V8 in the DB11 is sourced from Mercedes-AMG while its V12 unit is based on an AMG block as well. Last time AMG also said no 4 Cyls Engine,so now why got the A/CLA 45.?